Dimensions:17.5W x 24L x 17.75H inches. Sturdy polyester upholstery. Tall back and rolled arm design. Recommended for ages 3-7. Accented with color-contrasting piping. 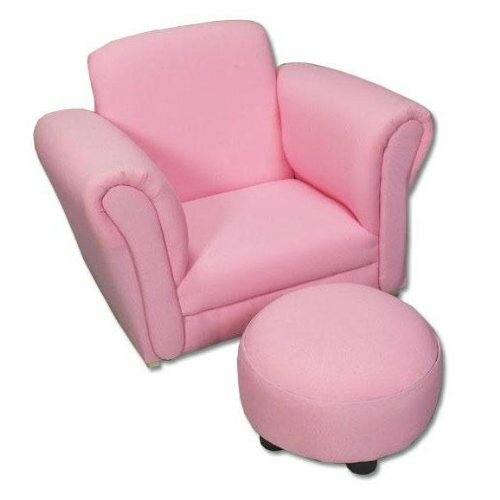 Includes a round and color-matched ottoman. Available in a variety of colors.